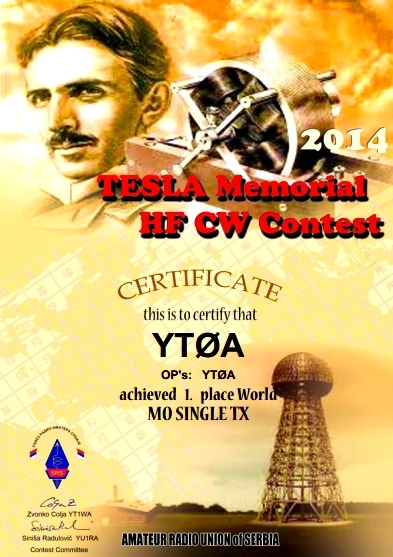 PRVI TESLA HF CONTEST SAMO NA 80 M CW . POENI SE DOBIJAJU PRORACCUNOM IZ DOBIJENIH QTH LOKATORA. MI SMO RADILI U KATEGORIJI MULTI OP SINGLE TX 14 SATI. ODAZIV TAKMICCARA JE BIO SLAB. UZ MALO MIKERENJE PROPOZICIJA IMA SSANSE DA IZRASTE U LEP CONTEST.